Last night, I woke in the middle of the night in Washington DC so I could present (via web) to a national conference in Israel on sexual violence prevention. This conference explored how to use the ecological model to prevent sexual violence and how to promote healthy sexuality (the conference title was “SEXUALITY-It’s time to talk about it.”). Green Dot’s Dorothy Edwards and I were among the speakers sharing our insights into work done to prevent sexual violence. I drew on many report and resources to frame a comprehensive approach to prevent sexual violence: the 2010 World Health Organization’s Preventing intimate partner and sexual violence against women: taking action and generating evidence, the CDC’s Technical Package on Sexual Violence Prevention, the National Sexual Violence Resource Center’s Healthy Sexuality Resources, Sexual Violence and the Spectrum of Prevention: Towards a Community Solution by the Prevention Institute, and What works to prevent violence against women and girls? Evidence Review of interventions to prevent violence against women and girls from 2014. 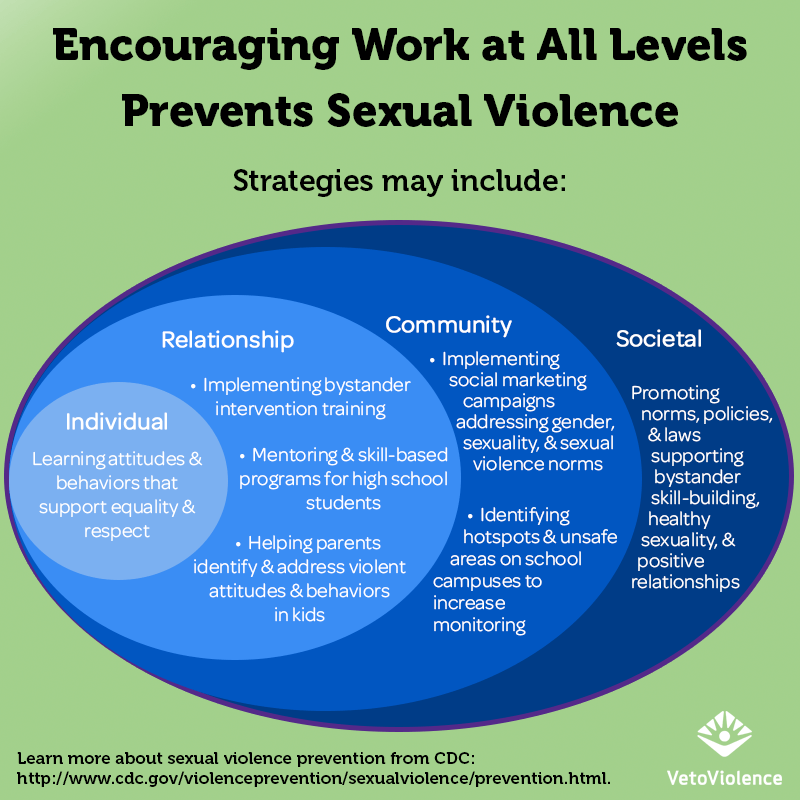 It does take work on all levels to create the change necessary to prevent sexual violence.